Ever since we won a 2 night stay at Park Inn Cape Town, as part of the 104.9FM #AmazingRace in October last year, I’ve been trying to find an angle where this could be a decent blog post and inspire you to book a room in an inner city hotel, instead of one of the many establishments along the wine route or near the beach. I mean, when you think of going on holiday, why would you consider making reservations in the middle of the hustle and bustle of a central business district rather than somewhere with wide open spaces and loads of trees? Well, all it took was a 2 night stay at Park Inn Cape Town on Adderly Street for me to change my tune. 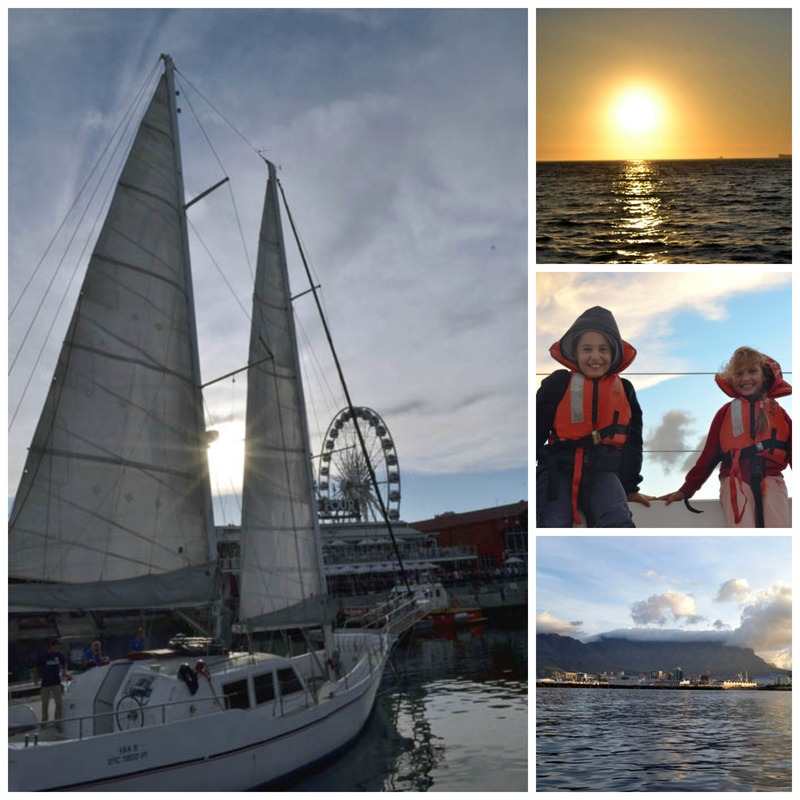 Since I work in Cape Town CBD, I have absolutely zero inclination to explore the same streets I walk from Monday to Friday, but as Saturday morning dawned, bright and far too early (as one does when one has kids) it was an interesting experience to watch Cape Town wake up on the weekend. I’m fairly sure that if we didn’t have kids we could have happily slept most of the day away as the block out curtains that Park Inn has on the windows did an awesome job of keeping our room dark and peaceful. We didn’t even hear the traffic or sirens from our 7th floor room that we would have expected to hear over a weekend. While the kids bunked in a sleeper couch next to our bed, we took advantage of the fast, free WiFi available in the room and updated our apps while they enjoyed cartoons and movies on DSTV before we all took turns in the walk in shower and got ready for the day. Since we used the free shuttle to the V & A Waterfront the night before, we decided to walk to Civic station (even though Thibault station was closer) and caught a bus to the bottom end of the BoKaap to start our tour of the city. Rose Corner Café is well known for their spicy Cape Malay style koe’sisters so we made sure that we got there early before they were sold out. I can’t remember exactly what time we got there (I’m fairly sure it was around 9:30am) but we were lucky enough to bag the last 6 koe’sisters. After taking loads of pictures of the colourful houses and enjoying some early morning ice cream we popped in at Atlas Spice shop where you can find anything from prayer mats to tawa pans (special flat pans for making rotis) and basmati rice. The heat of the day was starting to make itself known so after popping in at Honest Chocolate’s café for a chat, tasters and macarons we headed further down the road to seek shade under the ancient oak trees in The Company Gardens. As we crossed the road we noticed the door of St George’s cathedral was open so we made our way inside so that the children could see the impact of beautiful stained glass windows from the inside and learn a bit more about the church that Bishop Desmond Tutu used to preach at. There is only so much teaching you can expect kids to take in after a week of school so once we had bought some peanuts from a vendor it was off to feed the squirrels who are only too happy to eat from your hand and will even climb up your leg in hope that they will get more. The pigeons are equally eager for peanuts and you will often witness a squabble between the two as they establish who holds the rights to the peanuts held by the camera wielding creatures that walk through their habitat every day. 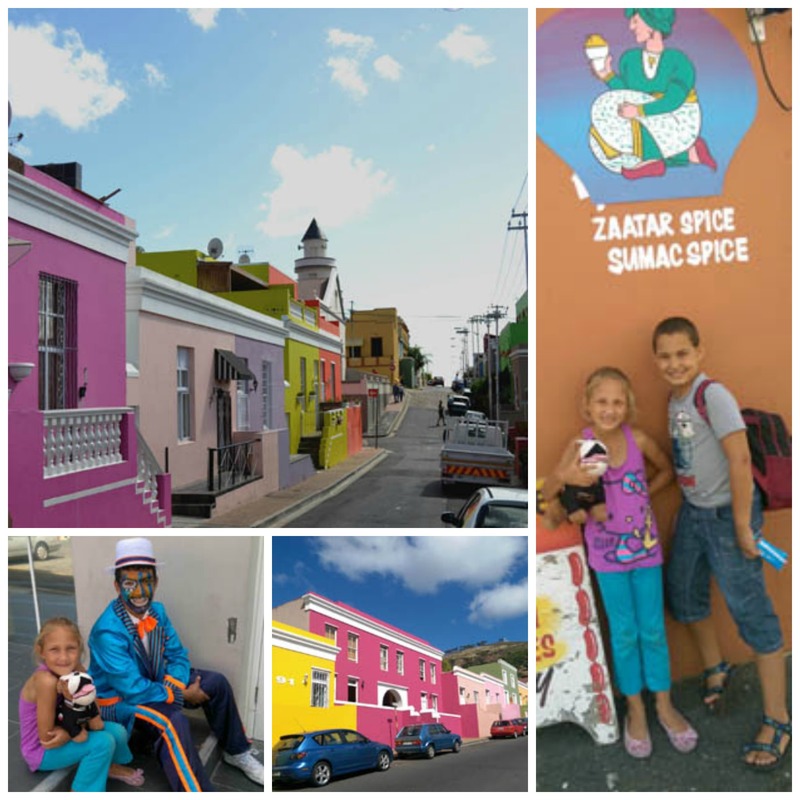 Once the peanut packets were empty and safely disposed of in a bin, the kids wanted to show me the place they discovered the last time they had explored the garden with their dad, so we headed to Madame Zingara’s coffee shop that has recently opened called Haarlem and Hope. The restaurant was already very busy by the time we got there so we were lucky to get a table. Patrons who wanted tables outside had to queue for about 20 minutes but I could definitely see the appeal. As we had all had a large breakfast before leaving ParkInn we weren’t hungry enough to eat an early lunch so we happily sat down and waited for our milkshakes. The kids had their shoes off the minute we settled in and dashed off to climb, swing and play in the lovely play area outside the restaurant. As the kids hadn’t slept enough, nerves were starting to fray and so we headed back to the hotel for some cool, quiet time with the aircon and a movie. We had hoped that they would nap so that we could do some more exploring once the sun had set but alas, we had to settle for room service dinner and early bedtimes before lives were lost. The kids loved the novelty of room service where we ordered burgers and milkshakes from the RGB bar. I’m pretty sure they didn’t consider it a punishment not to have to go to a restaurant and behave like civilized human beings. After a good night’s sleep and a lavish breakfast on Sunday morning the kids had their lips dragging on the floor as we checked out of the hotel and headed back home on the bus. They are already asking when we can stay at a hotel again and I’m a little worried we are raising kids with itchy feet and a permanent holiday syndrome. The silver lining is that I can already see how passionate they are about their own country and how easily they promote it to others so that can’t be a bad thing, right? 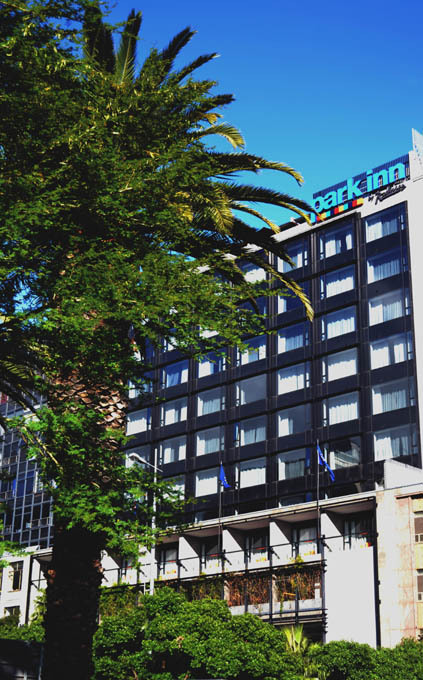 So, if you are looking for a kid friendly hotel in Cape Town that can be easily accessed using public transport, I would highly recommend using Park Inn Hotel on Adderly Street as your base while you tour the gorgeous city of Cape Town. Disclaimer: We won this prize when Anton’s name was drawn out of a hat. We were never asked to write a blog post about our experience and the hotel never even implied it. We wrote this post because we wanted to share our good experience with you.